Buffalo Railroads explores the relationship between the growth of the city and the network of railroads in Western New York. 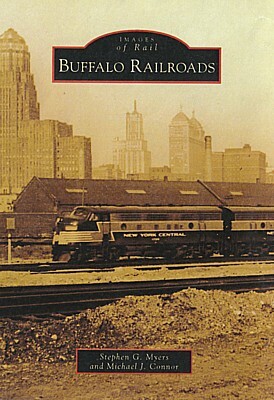 As a growing city on Lake Erie, Buffalo was considered the second largest railroad hub in the Unites States. Given its location, it saw the effects of westward expansion as the country grew and greatly benefited as a result. Buffalo rapidly became a city of importance as the stockyards, grain, steel, automotive, and other industries began to establish themselves in the area. Drawn by vast amounts of freshwater, inexpensive hydropower, and excellent means of transportation, the Buffalo region grew, and with it, the railroads expanded to support the area and help a young nation prosper. Buffalo earned the name of the Queen City as it became the second-largest city in the state of New York, and it was the railroad that brought the city to prominence.